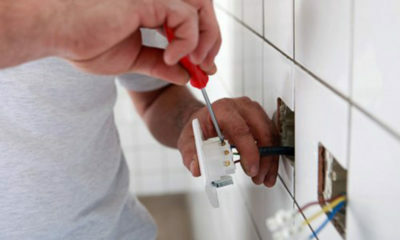 We have been providing first class, quality electrical services in Edinburgh for over 30 years. 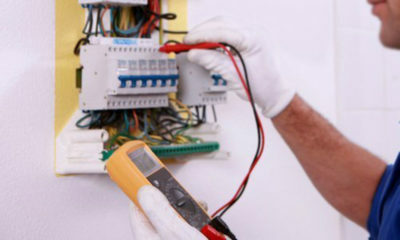 Our team are experienced, highly trained electricians with years of knowledge and service. We pride ourselves in our customer service and a job well done. As one of Edinburgh’s best electrical contractors we offer a wide range of domestic, landlord and commercial electrical services. From small domestic repairs to rewiring projects, installations and lighting, we carry out every job to the highest standard. In addition to our electrical services, lighting repairs and installations remain at the heart of what we do. We offer traditional, modern or contemporary and even blended lighting schemes. We specialise in fitting and repairing chandeliers. Just book your appointment online, job done! We can save you money on your energy bills by converting your lighting to LED lights. We can design and install energy efficient infrared heating systems and install smartwiring systems, to optimise your energy consumption. Our team of electrical contractors are all highly trained and passionate about their work. A job well done with a first-class service delivered every time. "The crew from Keith Gunn quickly and efficiently installed all the wall and ceiling lights in our home. They also fixed previously broken lights. Scott was friendly and courteous and we will definitely ask him and his team to help us with any future electrical needs when they should arise. Thank you! We highly recommend Keith Gunn Electrical Solutions!" 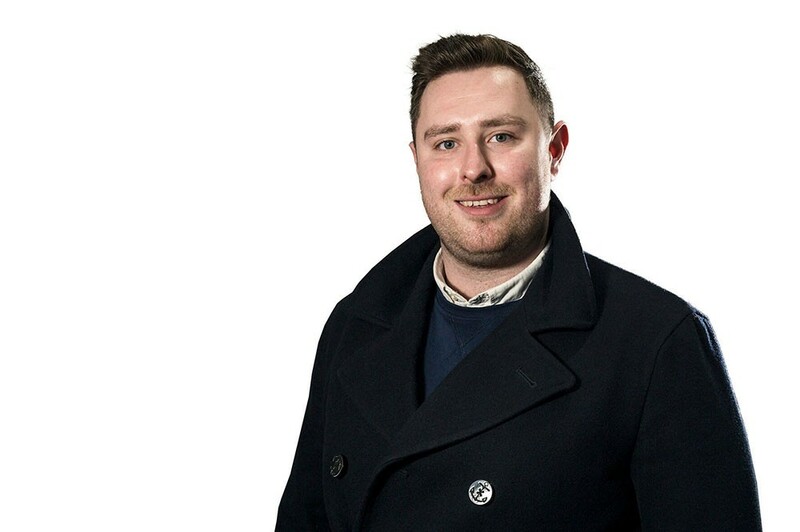 "I have had recently had two pieces of work done by Keith Gunn, one inside my flat and the other to the common stair lighting and am very pleased with the timeliness, quality of work and overall excellent customer service. Discussions with the estimator and the quotation were clear, all work was done to schedule and the billing easy. I will use them for any future electrical work." "Really easy to arrange. They contacted my tenant to arrange install wired smoke alarms." "Great service for the installation of a chandelier. A time was arranged to suit, the installation was quick and the room looks great. Everything was left in a clean and tidy condition." "The wiring to our electric shower had melted and we needed a re-wiring job done quickly as we had other house renovations happening later in the week. They made sure that 2 electricians would work late to make sure the job was done the next day. Thank you again for saving us." "Really quick with an evaluation, and was able to fit us in quickly too. Great reasonable prices too." "First time we've used KGES and we're very impressed with the people and their processes. They carried out electrical certification and arranged for gas certification as well. We were particularly impressed with the communications when a glitch arose with online certification. We'll certainly be using them in future ... and they're right across the road!" "Great service. Electricians are always on time, respectful and courteous. They’re a credit to the company. And even better they are very reasonable too!! Always use them." "Following a recommendation from an Edinburgh Facebook group, I got in touch with Keith Gunn electrical to fit two chandeliers. Simon responded to my enquiry promptly. He even shifted things around to fit us in on the same day as the ceiling roses are fitted. The lovely guy (think he’s called Scott) who came to fit the chandeliers arrived at times agreed and did an excellent job. We’re really pleased with the results!" 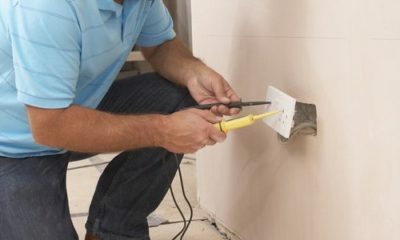 When Does A House Need a Rewire?